Is it possible to change the video card in my XPS 27 to a higher end one that is more suited for gaming? RE: Changing video card in XPS 27 all in one? Possible, but I cannot find the Dell part numbers for the discrete graphic card. You will need to search the web for resellers. The XPS One 2720 ships with both integrated and discrete graphic options. The XPS One 2710 ships with both integrated and discrete graphic options. 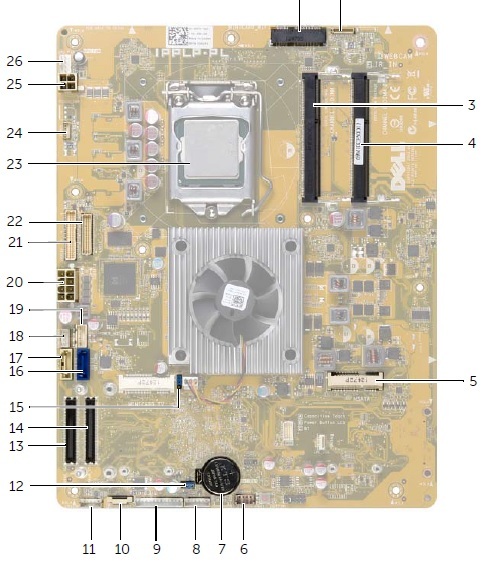 The best way to put this is that it is possible to replace the motherboard.There arent standard modules one size fits all for all geforce that go into the 2710 So no this is not possible. The 2720 has the GPU SOLDERED ONTO THE MOTHERBOARD. The heatsink assembly is different for the model that has MXM ii gpu module.I would also caution that boards without the GPU may not have any socket soldered on them to accept the module. I do NOT see an MXM slot on the 2720. For 2720 Click on the link http://bit.ly/16pdutF and check the inside view of your computer on page 15. The following table provides the processors/integrated graphics combination. XPS 2710 ships with 235W Power Supply Assembly which is not recommended to upgrade. The 2720 board is smaller without an MXM slot and soldered BGA GPU. 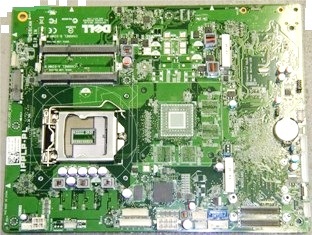 The board without GPU has nothing where the heatsink and fan are on the board with a GPU which is in the Center of the board. My Gosh, that was a COMPLETE and AWESOME post !!! (wish I could "pay" you back ) so, I can live with the graphics, next idea would be to upgrade the audio with card that has OPTICAL out !!! Those can be $30 or $300 depends on what you are looking for. The $30 variety is turtle beach USB Audio. Micro II or Amigo II. The Amigo II USB sound card adds a stereo sound output and mic input and converts a standard headset into a USB headset with great sound. The Micro II allows Optical Audio out. No Drivers needed for XP, Vista, Windows 7, 8, 10 OSX 10.5 and up. hi Chris, that you know on the xps1 2710 does it have a jumper switch to choose from the integrated intel and the discrete nvidia? Guys, any idea if the problem that I am facing is related to the video card? I have half of the screen blue and half normal. Half screen sounds like LCD damage.